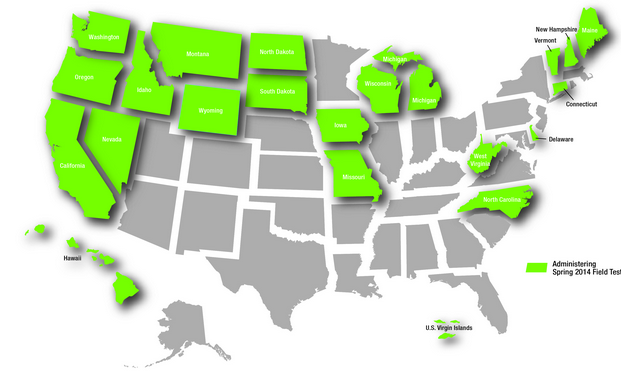 The Smarter Balanced Assessment Consortium is committed to supporting member states and territories as they implement the Common Core State Standards (CCSS). Working with educators, Smarter Balanced will identify high-quality curriculum resources aligned to the CCSS and professional development strategies that can be replicated across states. The tools and resources will be posted online and incorporated into the digital library — an on-demand resource to help teachers address learning challenges and differentiate instruction — as part of the assessment system. Many organizations have developed resources to explain the standards and help teachers support student success in the classroom. The factsheets, videos, and instructional resources below provide detailed information for educators, parents, and policymakers about college- and career-ready standards. 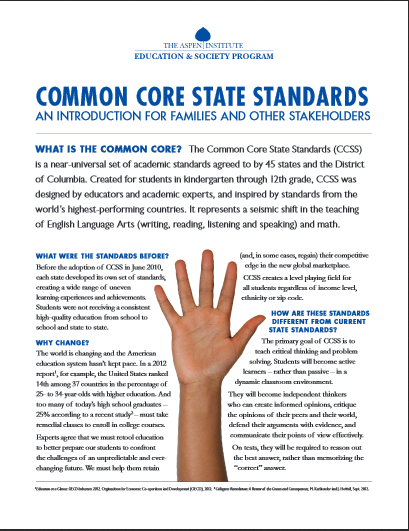 CoreStandards.org is the official website for the Common Core State Standards. The site includes general information, resources, and news on the CCSS. 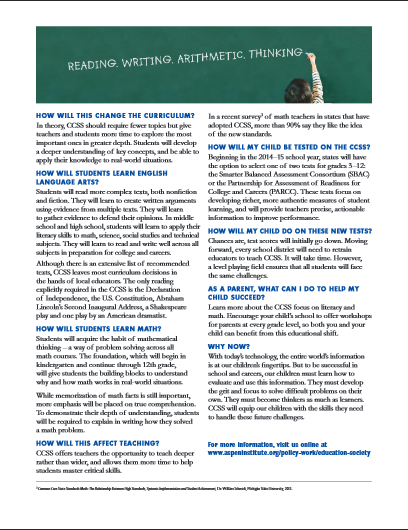 This one-page overview of the CCSS accompanied the release of the standards by the Council of Chief State School Officers (CCSSO) and the National Governors Association Center for Best Practices (NGA Center). The full set of the Common Core State Standards for English language arts/literacy for grades K-12. The full set of the Common Core State Standards for mathematics for grades K-12. This two-page flyer—available in both English and Spanish—was developed by The Aspen Institute to explain what the standards are and why they are important for improving public education. The Council of the Great City Schools developed a three-minute video—available in English and Spanish—that gives a brief introduction to the CCSS and that explains how the standards will help students prepare for college and career. The style and accessible language make these videos well-suited for presentations to community and parent groups. The Hunt Institute and CCSSO developed this series of videos featuring the authors of the standards discussing the development process and how the standards impact students. The Council of the Great City Schools developed parent roadmaps that provide grade-by-grade information for parents about the expectations of the CCSS, including examples of topics and content at each grade level and tips on supporting learning at home.